Thread: Monocog Redline rear hub problems! Advice please.. Anyone have experience rebuilding a Redline sealed rear SS hub. 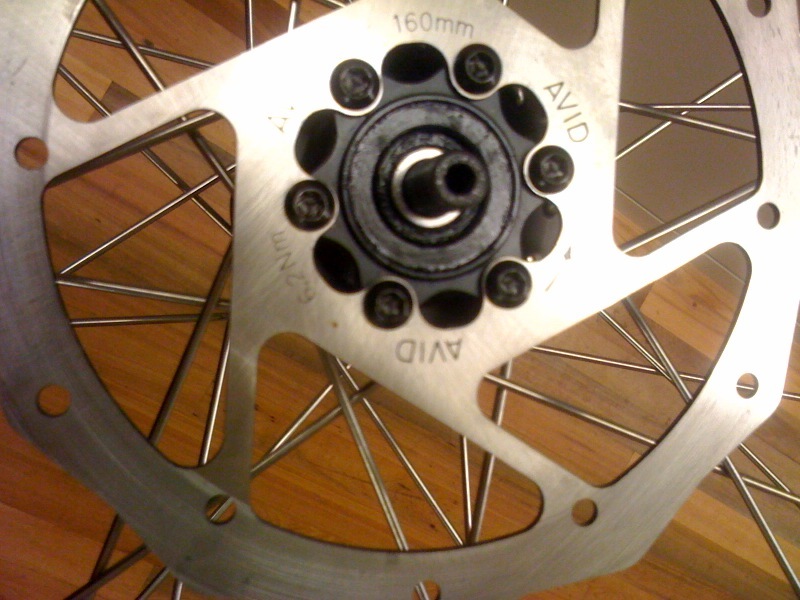 It's the short freehub style that I think all monocogs come with - or just Flights? I just don't know where to go next. Can I remove the axle and use a 10mm hex? I can't figure out how to pull the axle. I'm hoping I can take it apart, put it together for a quick fix. If not, I guess I'm buying a new hub and spokes. I do have a dmr revolver 9 speed hub laying around. It was super cheap, so it might be junk. Any thoughts? Thanks. I think the cones are loose. i don't think you need to completely disassemble it. just tighten the cone nuts with a cone wrench. if you don't have one, buy or borrow one from your LBS. I'm not sure how to pop the rubber seals that are seated flush on either side without damaging. How does one go about that? Tried tightening outer bolts with no effect on wobble. Actually tried loosening & tightening. I just need some advice at getting to the guts. Here are some pics of the seals. Try using a flathead screwdriver. I don't think it can do much more damage than scratch some paint. If you have some miles on it, it could be bad bearings. These are sealed bearing cartridges that you can pop out by taking the nuts off and tapping one side of the axle to get one and doing the same for the other. Standard bearing, you can get them at a bike, hardware or machine shop. I had problems with the freehub too. To get it off you need a 12mm allen. I know, this is harder to find than doing the work. Also, the way that hub is designed, tightening those "cones" won't do much since they are basically dust caps. You might have to call redline about a freehub body and bearings. My advice. Get rid of it. Buy a Surly hub and lace it to that rim. That hub caused me too many headaches to count. If you don't know how to do this work then take it to a shop. I have never pulled apart a Redline, but I kind of looks like the Bontrager SS hub. 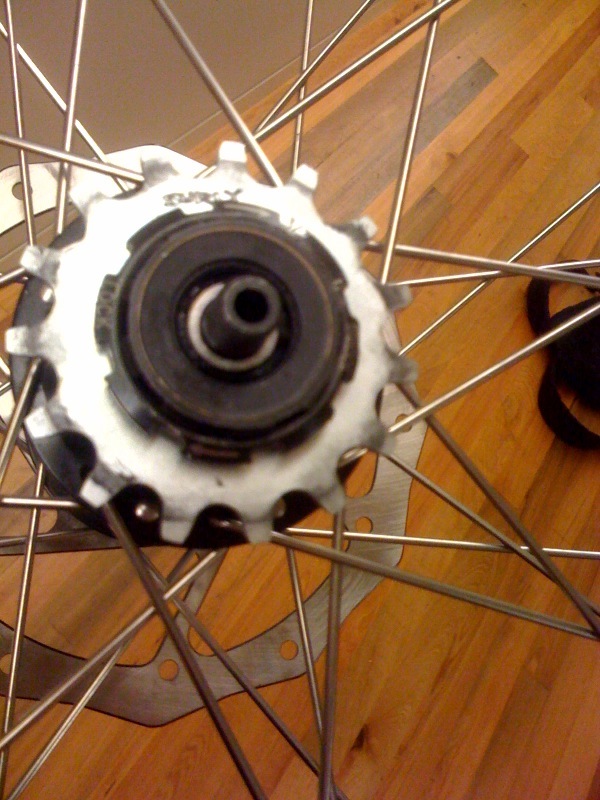 It is possible that either your freehub is going bad or the hollow bolt that fixes it into the hub shell is loose. Could be any number of other things as well. You could try calling Redline and asking for help, but they will probably tell you to take it to a shop. If you lived down the street you could bring it to me and I could donate my time, tool use and 25,000+ hours in shops to help you. If it is like the Bontrager, then it's just a cheap Taiwanese geared hub with the hub shell extending over a bit of the freehub to make it look purpose built - any repair of this hub is temporary as this design is flawed. I like the post about the Surly hub. It's relatively cheap, very sturdy, made to be maintained and will solve your problem.